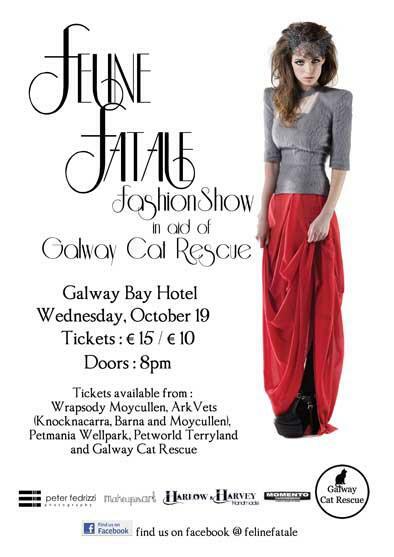 I thought I'd share with you guys the final shots and finished poster for Galway Cat Rescue Fashion show, what do you guys think? I loved the edgy makeup and hair! Not to mention the clothes are divine, they're an amazing Irish label Harlow and Harvey.